With over twenty years of experience acquiring and developing high-end hotel, restaurant and nightlife properties in New York, Boston and Miami, Seth Greenberg is regarded as one of the premiere impresarios of today’s hospitality industries. Greenberg began his illustrious career at the age of seventeen as a promoter of fashionable private parties in nightclubs, ballrooms, and event facilities in the Boston area. 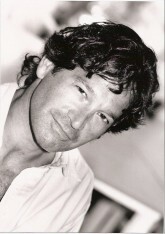 Soon after graduating from Boston University, Greenberg purchased and successfully launched a number of the city’s most popular nightlife properties, including the Paradise, a venue credited with giving vital early exposure to then-up and coming acts such as U2 and the Red Hot Chili Peppers, and M-80 playing host to some of the city’s most fashion-forward socialites. Following a successful string of over twelve nightclub ventures along the East Coast, Greenberg shifted his focus to developing high-end hotels and restaurants. 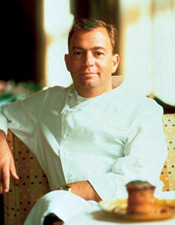 In 1997, Greenberg established himself as a respected restaurateur with the opening of Mistral, a French-Mediterranean inspired restaurant in Boston. He also participated in the development team for the award winning XV Beacon Hotel in 1999. In November 2002, Greenberg once again showcased his talent and vision by successfully debuting his first New York City venue, the resplendent Stanford White-designed ballroom and event space, Capitale. Through the purchase and renovation of the historic Bowery Savings Bank, a Beaux-Arts building constructed in the 1890s, Greenberg established Capitale as one of New York’s most distinguished fine dining and event spaces. Celebrities, fashion designers, models, socialites, entertainers and politicians alike have all congregated at Capitale to celebrate at one of the venue’s many exclusive parties. Clients and guests include Virgin Airlines, Elton John, Marc Jacobs, Louis Vuitton and Angelina Jolie. In 2007, Greenberg expanded his catering infrastructure in New York by developing Espace, a 20,000 sf. event space in the beautiful new Atelier Tower in midtown Manhattan. In 2009, Greenberg completed the development of the Ames Hotel located in the historic Ames Building in Boston with his longtime friend, Richard Kilstock. The Ames Hotel is a joint venture with Normandy Realty Partners. 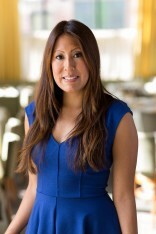 In 2010, Greenberg finalized an agreement with Marriott Hotels to develop restaurants in their properties. His first project, 1500 Degrees, a Farm to Table Dining Concept received the Esquire Magazine award for Best New Restaurant in America. Greenberg’s latest project, Bastille Kitchen, is slated to open in summer 2014 in Boston’s Innovation District. In addition to his hotel and restaurant ventures, Greenberg is co-founder of Boston Common; a magazine developed by Niche Media, LLC, a robust lifestyle publishing company whose other titles include Hamptons, Gotham, Aspen Peak and Los Angeles Confidential. 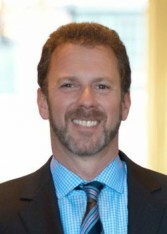 Mr. Greenberg is the recipient of The Boston University Young Alumni Council Award (2002) for his achievements, character, and continued support of the University. He remains a sponsor of Boston University’s School of Management. Additionally, he is a co-founder of the Center for Jewish Discovery in Manhattan. Please visit the appropriate web link below for all current projects. Personality and passion are the twin hallmarks of Mark’s hospitality style. The details of attentive and individualized service are key, he says, to successful interaction with every guest. And as for passion, there is no substitute for an employee’s true attitude of ownership and responsibility. Mark exhorts his staff to assume a top-to-bottom approach to guest service so as to make a lasting impression each and every time. These dual principles of personality and passion were imbedded early in Mark’s career. A succession of ‘name brand’ learning experiences molded his professional development. Mark got his first taste of the epicurean world at Cardoos International Foods, a gourmet food shop in Boston (MA). Selling exotic foods, spices and coffees from around the world was a superb training ground for later employment with such established businesses as Legal Sea Foods, Sheraton Hotels, Skipjack’s, and Caffe Lampara. 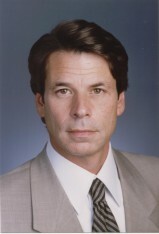 The 1980s were spent working in both Florida and Massachusetts, and the heady experience of opening new locations added to his broad knowledge and management skills. The depth and breadth of his background moved Mistral to hire Mark in 1996, and he quickly advanced from Assistant General Manager to General Manager, then in 2006 to Director of Operations for not only Mistral but all of the properties in the Columbus Hospitality Group [Teatro, Sorellina, Mooo, L’Andana and Ostra]. Those basic tenets of a good time at the dinner table were introduced at Mark’s own family gatherings in his childhood. His Irish-Italian upbringing in Dedham (MA) offered ample opportunity to enjoy good cooking, celebratory feasts, and shared laughter. Today, he brings those early lessons of warm hospitality to a new level of sophistication. Whether it’s having a regular guest’s habitual cocktail ready and waiting, or calling a customer at home to reveal that Mistral’s famous truffle macaroni is back on the menu, he makes every guest feel special and singled out for personal attention. That is the essence of true hospitality. Shane Gray began his confectionary career as the pastry chef for a small bistro in Worcester, and soon went on to gain formal training in baking and pastry arts at the Culinary Institute of America. 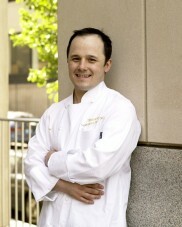 Upon graduation in 1996, Shane was hired by The Ritz-Carlton, Boston where he trained under Chef Henry Mastrov and eventually became the hotel’s assistant pastry chef. After spending five years with The Ritz-Carlton, Shane was hired by Chef Jamie Mammano in 2001 to oversee Mistral’s a la carte dessert menu, private dining and special events, employee training and daily production. 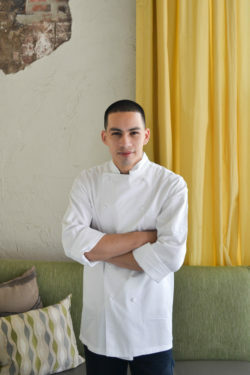 Shane has since then also created the dessert menu for Teatro and has some of his dessert creations featured at Sorellina. Shane has received numerous accolades for his creative pastries and delectable desserts including, 2003 Best of Show, Best Taste and Best Overall awards for his depiction of Norman Rockwell’s Studio using only sugar and chocolate at the Edible Arts event.